Whether you use your garage for storage, recreation, or as extra living space, you fully expect your garage door to be reliable. It’s the largest entryway to your home, but compared with other doors, it’s a complicated piece of machinery, and, as with all things mechanical, it can sometimes fail. As it ages, a problematic garage door can become less cost-effective to repair, especially if it begins looking shopworn. If that’s the case with your door in Columbus, you should know that 31-W Insulation offers an extraordinary lineup of replacement doors and expert installation by factory-trained garage door installers. 31-W Insulation strives to offer consistently masterful installation service. To that end, we rely only on our employees – not subcontractors – for our installations. That way, we can guarantee that every garage door we install will work flawlessly from day one, exactly as designed. 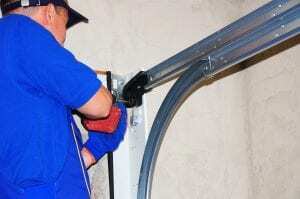 Add to that the renowned professionalism of our installers, and you can trust that when you call on us for a new garage door, you will be rewarded with a stress-free and confidence-boosting home improvement experience. In addition, we offer a one-year labor warranty on garage door installations, regardless of the number of options or the door style you choose. To learn more about the features of our garage doors or why our garage door installers are the professionals Columbus homeowners prefer, contact 31-Insulation today.